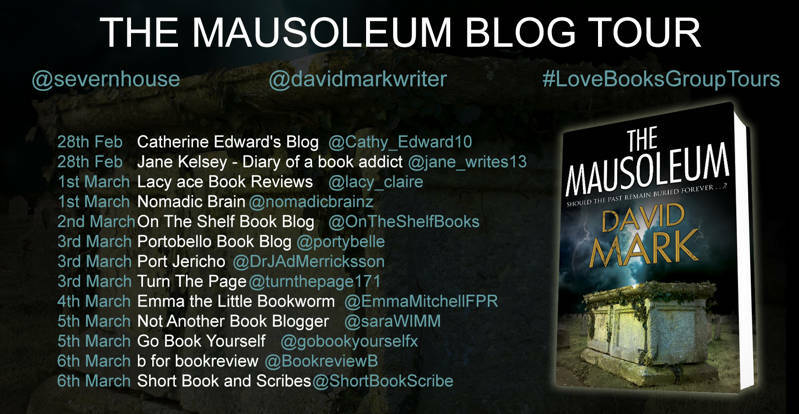 I’m so pleased to have an extract from The Mausoleum by David Mark to share with you today. My thanks to Kelly Lacey from Love Books Group Tours for the place on the tour. I think this book sounds fantastic. In a quiet village in the wild lands of the Scottish borders, disgraced academic Cordelia Hemlock is trying to put her life back together. Grieving the loss of her son, she seeks out the company of the dead, taking comfort amid the ancient headstones and crypts of the local churchyard. When lightning strikes a tumbledown tomb, she glimpses a corpse that doesn’t belong among the crumbling bones. But when the storm passes and the body vanishes, the authorities refuse to believe the claims of a hysterical ‘outsider’. Teaming up with a reluctant witness, local woman Felicity Goose, Cordelia’s enquiries all lead back to a former POW camp that was set up in the village during the Second World War. But not all Gilsland’s residents welcome the two young women’s interference. There are those who believe the village’s secrets should remain buried … whatever the cost. I was laying in a grave the first time I met Felicity. It was the day the storm came. The clouds were a mound of dead doves; all grey and purple, silver and muddy white. Made me think of foxgloves pulped against stone. It would be a week before we saw blue again. A week before the clouds rained themselves out. The Tyne rose six feet that fortnight. They had to evacuate half of Haltwhistle. Bones rose from the churchyards like worms. I wasn’t uncomfortable, laying there, looking like something the earth had winkled out. It was out of the wind, protected by the branches of the big laurel tree that stood sentinel over the oldest headstones. I liked such spaces, at the time. I liked containment. Manageable environments. I would have dug a hole and crawled inside it if I knew anybody well enough to shovel the dirt back on top of me. I adjusted my position. My clothes were sticking to my skin. Grass prickled at the skin of my wrists. A long-necked daisy had grown between the fingers of my left hand. I wondered how long it would take for the earth to claim me. I had a vision of myself, semi-consumed, a risen hump of grass and buttercups, cow-parsley and buttercups, split into sods with the gravedigger’s spade. I shook the image away before it took hold. I found myself staring out at the little grey mausoleum that stood at the rear of the churchyard. Were I a painter, this would be the section of the landscape that I would have chosen a paint. Cosy, in a Gothic sort of way. I envied the building its indelible pocket of gloom, shielded as it was by the purple leaves of an overhanging tree. Moss grew on its walls, as if the stone was a living thing that somehow provided nutrients. I had seen swifts flitting in and out of the elaborate eaves. Upper Denton. That was the name of the village. A mile south of Gilsland. A place at the edge of things. It was shaped like a crucifix – the cross-section formed by a straight grey road that ran parallel to the train tracks. Three houses at the top of the village and a couple more sloping away down the hill. Ragged outbuildings and crumbling barns. Then the church. Beyond that lay the river and the trees and endless miles of nothing at all. 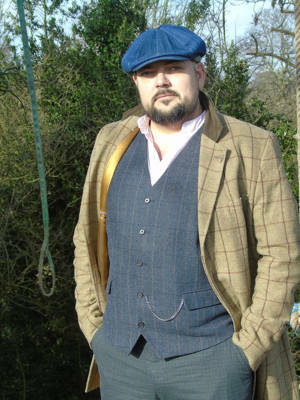 David Mark spent seven years as crime reporter for the Yorkshire Post and now writes full-time. 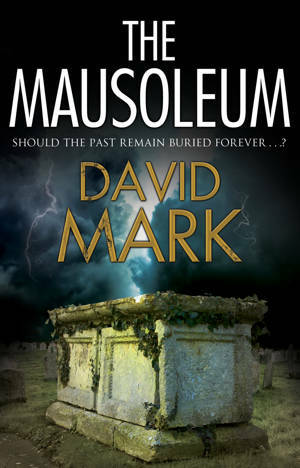 A former Richard & Judy pick and Sunday Times bestseller, he is the author of nine police procedurals in the DS Aector McAvoy series and one historical novel. He lives in Northumberland with his family.